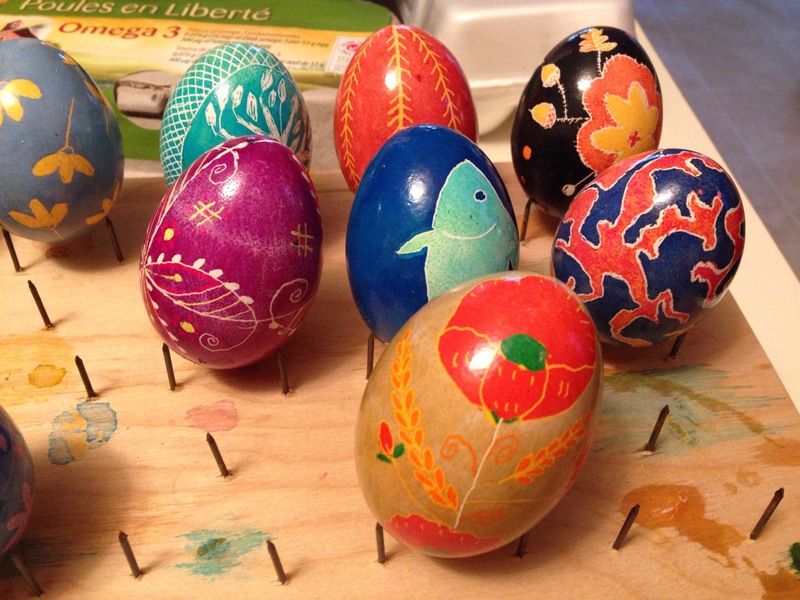 My husband’s stepmother is Ukrainian and taught us to make pysanky many years ago. We used to make them every year, but haven’t for the last couple years. 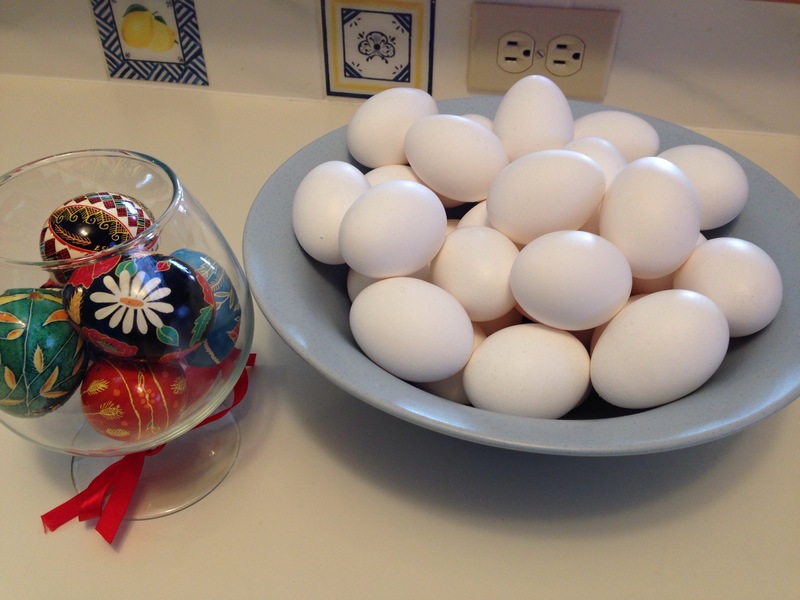 This year, I got myself organized and we have had a few egg-decorating sessions so far. It is an absorbing endeavour and it is easy to lose track of the time when embroiled in a design. 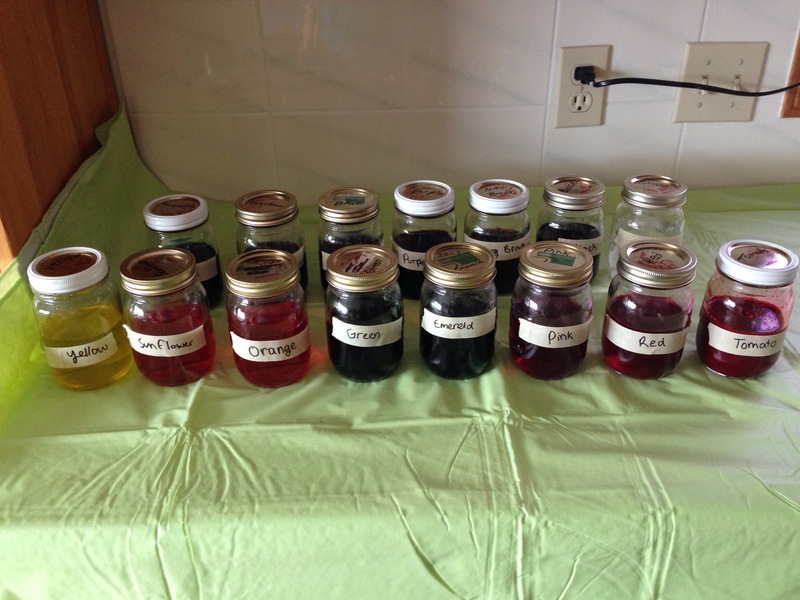 The process involves soaking the egg in a dye, drying it off and then covering the area you want to remain that colour with melted beeswax, applied with a kistka, which is a little hopper for wax, with a narrow spout for application. 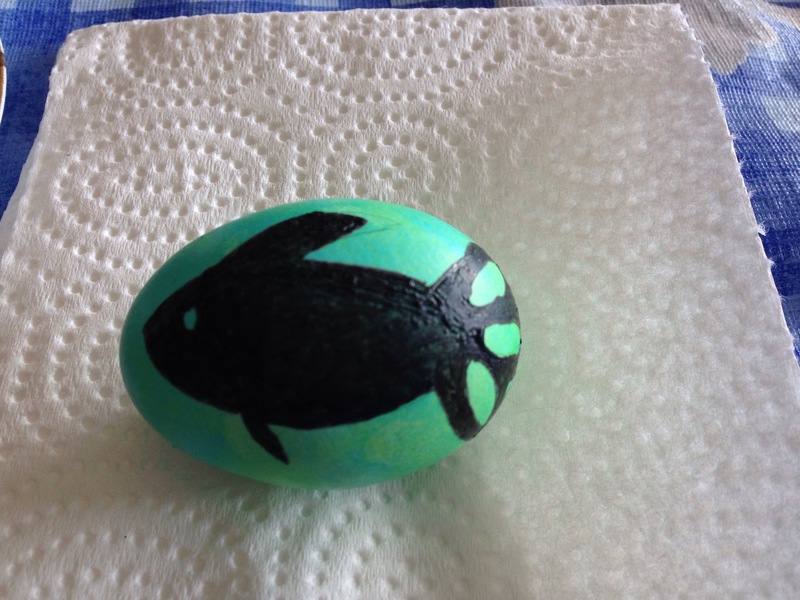 For example, if you want a green fish, you would soak the egg in green dye, then draw a fish with wax onto the egg. 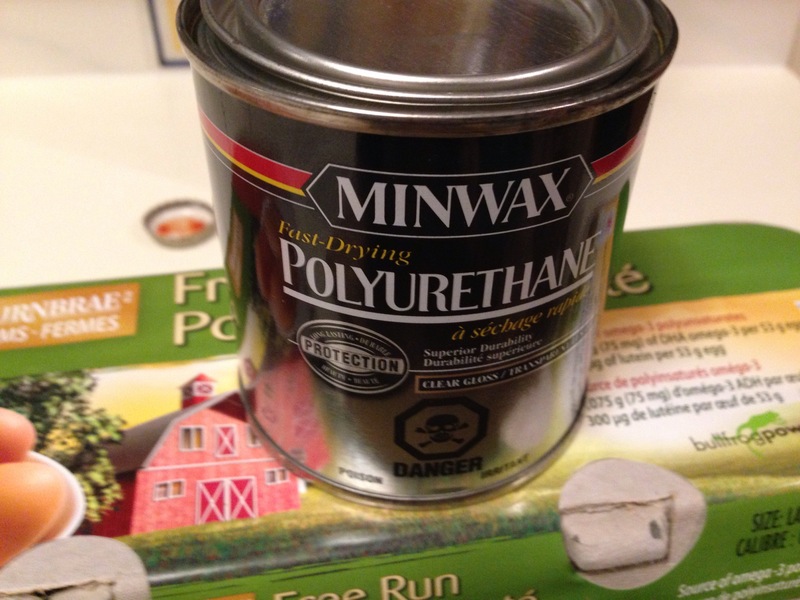 That will preserve the green dye under the wax. 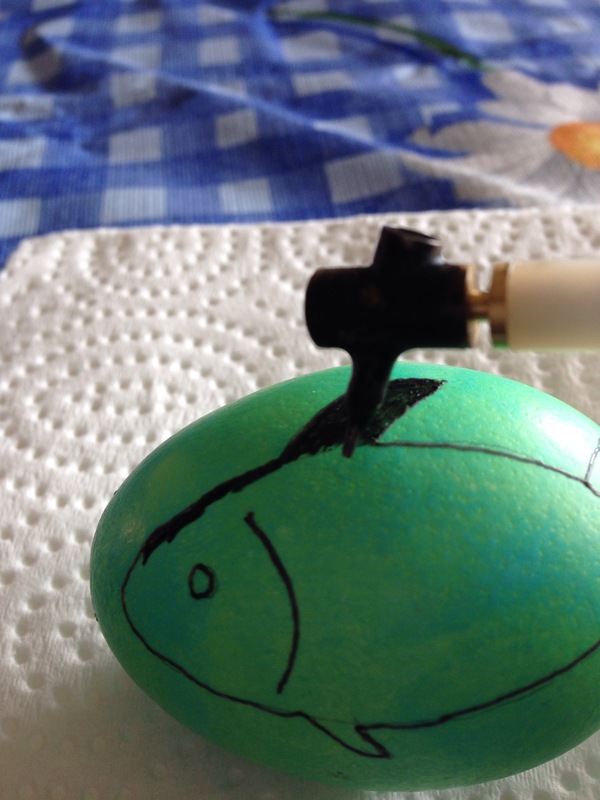 You would then dye the egg another colour (blue for water), and continue with the rest of the design. When you have finished the design, gently heat the egg in the oven to melt the wax off, rubbing gently to reveal the pattern underneath. 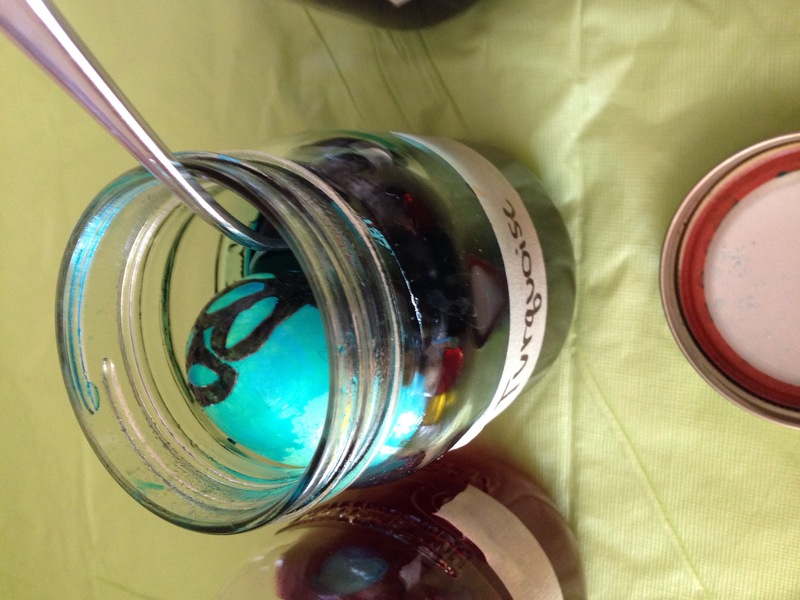 We varnish the egg to make it shine and to protect the dyes. 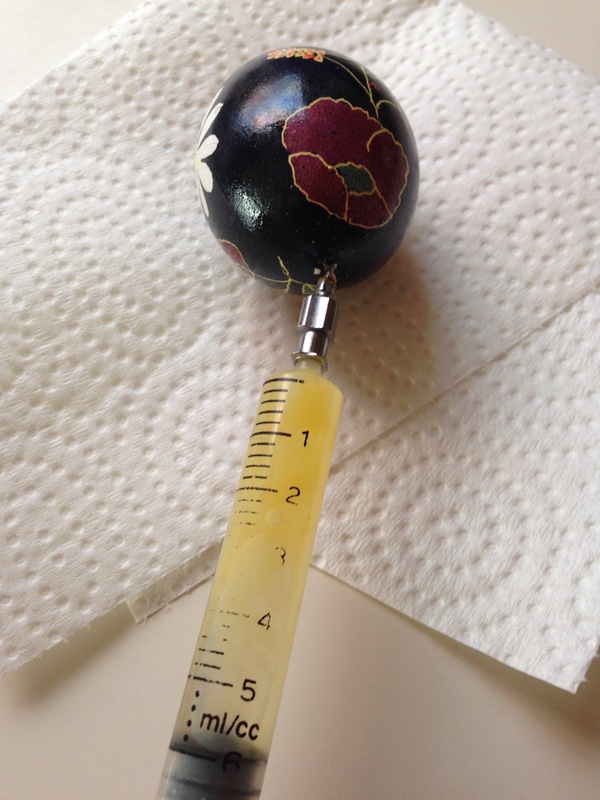 When the varnish has dried, we use a syringe to remove the egg’s contents from the shell. They store for years in this way. What a beautiful craft. 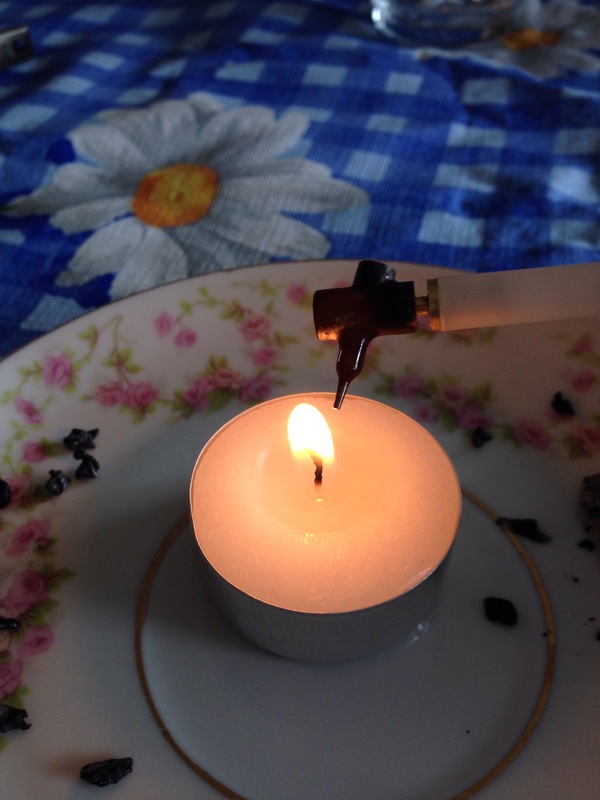 I tried to do something like that years ago but didn’t have the tool to apply the wax. Where can you get one? Thanks! I enjoy making them. Amazon carries everything you need to get started. Good luck!